Luis Rojas is taking his talents to Binghamton. The former St. Lucie Mets manager has accepted a position as skipper of the New York Mets' Double-A affiliate -- the Binghamton Rumble Ponies. Rojas will be taking over for Pedro Lopez, who was promoted to manage the Las Vegas 51s, New York's Triple-A affiliate. What should New York baseball fans know about Rojas? First of all, he has enjoyed great success within the Mets organization over the past few years. He's a name that may already be familiar to Mets supporters and New York media members. In 2016 with St. Lucie, Rojas led his team to 74 wins and a division title. Additionally, he guided the Savannah Sand Gnats -- a former Mets affiliate in the A-Level South Atlantic League -- to a championship in 2013. His only rough patch was in 2015 in his first season in St. Lucie, where his team failed to finish with a .500 record. The thing is, the fact that he rebounded with a strong 2016 -- St. Lucie's first playoff appearance in four years -- showed what kind of manager he is. Rojas is the kind of manager that athletes love to fight for, a guy who never fails to earn the respect of an entire clubhouse. Make no mistake: His promotion was a solid move for the franchise. Hiring from within, rewarding hard-working veteran managers with promotions, adds some stability and consistency to the entire Mets farm system. 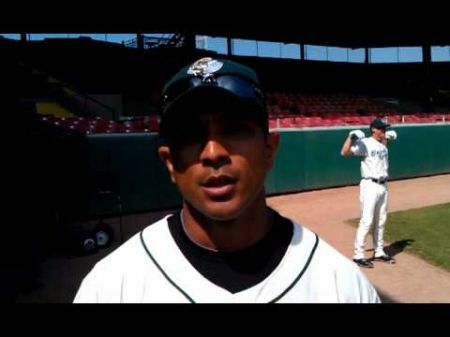 Rojas has already worked with some of the players he'll manage in Binghamton, and the familiarity and comfort factor can't be taken for granted.